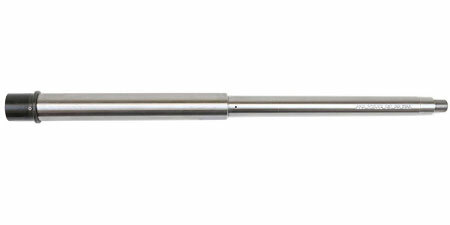 416R is a pre-hardened chromium stainless steel which is suitable for use in precision match-grade rifle barrels. It can be supplied in various hardness ranges according to the specific requirements. This barrel features a stepped gas system seat which will accommodate standard gas systems and also the newly designed piston systems that require a relief.